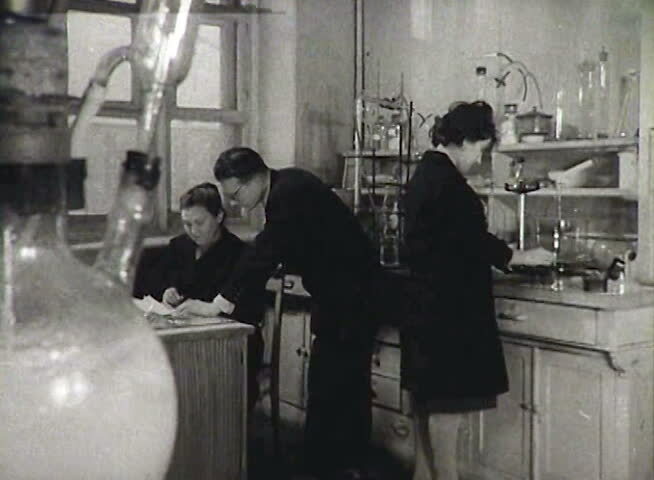 FORMER U.S.S.R. - CIRCA 1950-1960: Chemical laboratory. Newsreel of the USSR. sd01:241930s: A Hispanic American dad talks to his daughter and her boyfriend about tuberculosis, in 1939.